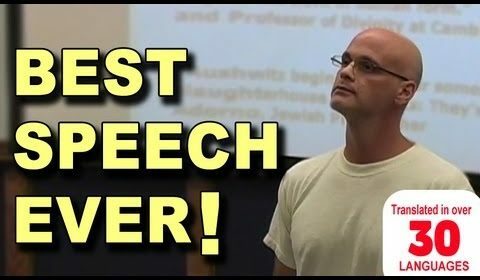 Gary Yourofsky’s entire inspirational speech held at Georgia Tech in summer of 2010. Listen to this amazing speaker who will blow away the myths, fill your mind with interesting facts, and help you make ethical choices for a healthy heart and soul. His charismatic and straightforward style is one of a kind – a must-see for anyone who cares about nonhuman animals or wishes to make the world a better place.